The show is about a search for talent among the children between the ages of 5-12 years. Sonali Bendre Behl is no doubt a fighter as she is going undergoing metastatic cancer treatment in New York. Being a famous actress, Sonali Bendre has set example for every cancer survivor and is no doubt an inspiration. Few months back she went bald as a result of chemotherapy. 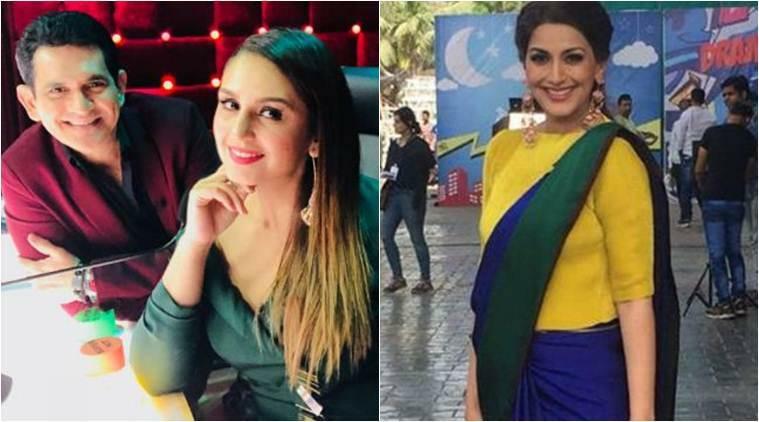 Now she has come forward to show her support to the “India’s Best Dramebaaz” contestants for the finale as she was the part of the show as a judge with Vivek Oberoi and Omung Kumar. It was Huma Qureshi who stepped into her shoes after she was diagnosed with cancer. But still she stay tuned to the show and her. "Hi everyone. I am so happy to see all the kids doing so well on the show. I am missing the entire team of 'India's Best Dramebaaz' so much. I wish I could just be there with all of you. Vivek keeps sending me the messages of the kids all the time and they're all so sweet, it makes me cry," a statement quoted Sonali as saying in a video message. The show is about a search for talent among the children between the ages of 5-12 years and it is hosted by by Shantanu Maheshwari and Vighnesh Pande. Sonali further said: "I want to thank Huma from the bottom of my heart for stepping in at the last minute. It means a lot. For Shantanu, I just want to say that I was so excited to work with you after so many years, but it had to end this way. I miss everyone a lot. "But I promise I will come back soon. I just want to tell something to all the finalists, some will lose and one will win, but everyone is wonderful and all of you have learned a lot in this entire journey which will help everyone a lot in the future." The finale will air on Sunday. So now we have to wait and watch to see who is going to win the messade and also wait for the message by Sonali Bendre Behl for the winner as she is always tuned to the reality show.